Out on the newer side of North Hills you’ll find tons of construction and new businesses popping up left and right. 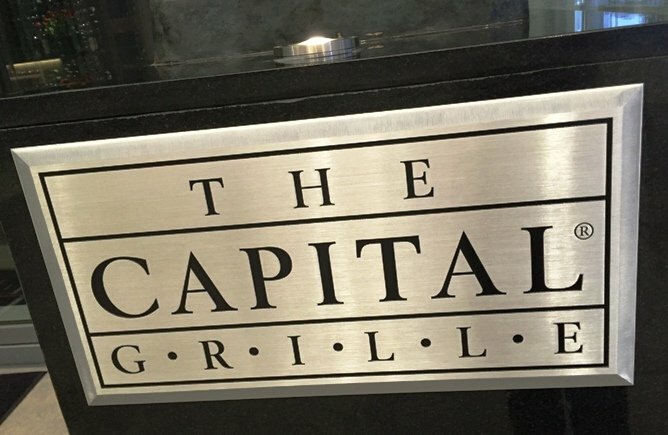 You’ll also find the brand, spanking new Capital Grille offering up an upscale and modern steakhouse experience! I had the chance to preview this new fine-dining restaurant during their service training week and it was an impressive visit, overall. 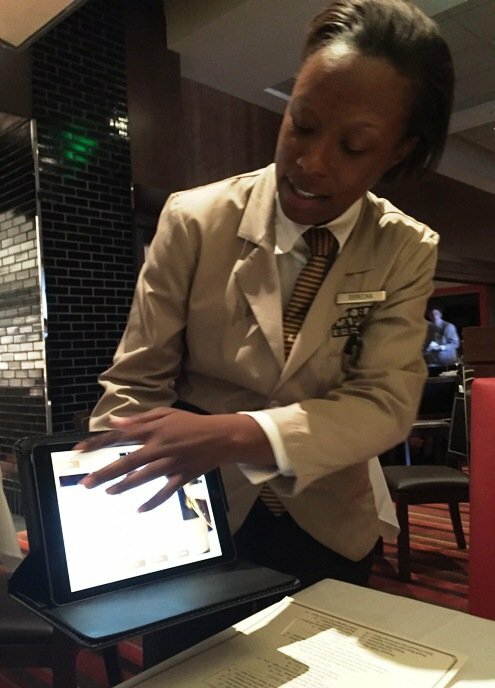 Here’s what to expect if you plan on eating at the Capital Grille. Even though the Capital Grille has a Six Forks Road address it’s located right off of Dartmouth Road and near the entrance for the newer section of North Hills. 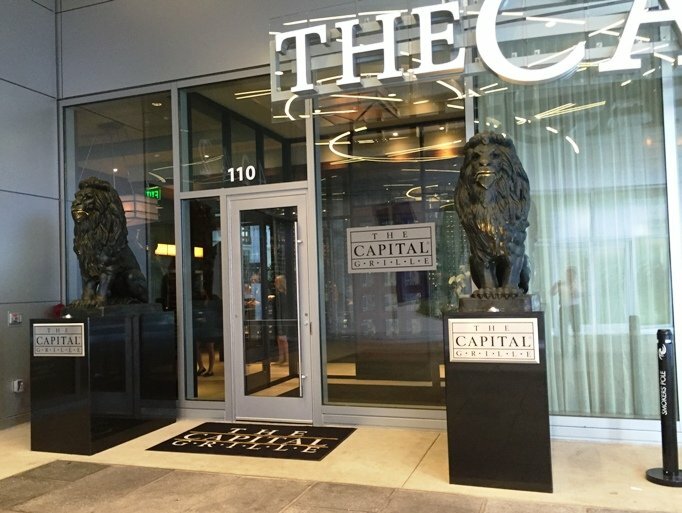 Up front you’ll find two regal lions greeting you at the entrance and inside, the Capital Grille goes with a refreshed steakhouse feel: a bit opulent, a bit formal and definitely upscale. There’s a large wine bottle display in the entrance area, cocktail lounge to the right and staff is either dressed in classic white-black or a more formal short-waisted tan jacket and tie. The staff is on high-alert today given the service training session, I’m visiting on day 2 of their practice week. 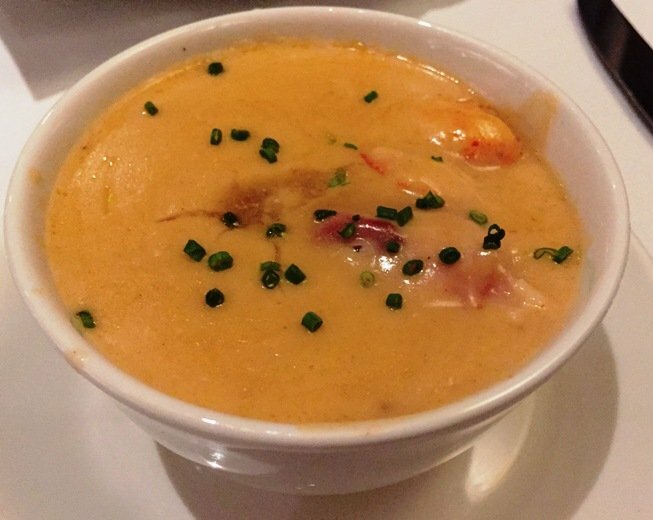 I’m starting off with a lobster bisque which is fantastic! Full of flavor and a hint of sherry, it’s served with some finely diced chives and loaded with lobster meat. Definitely recommend. 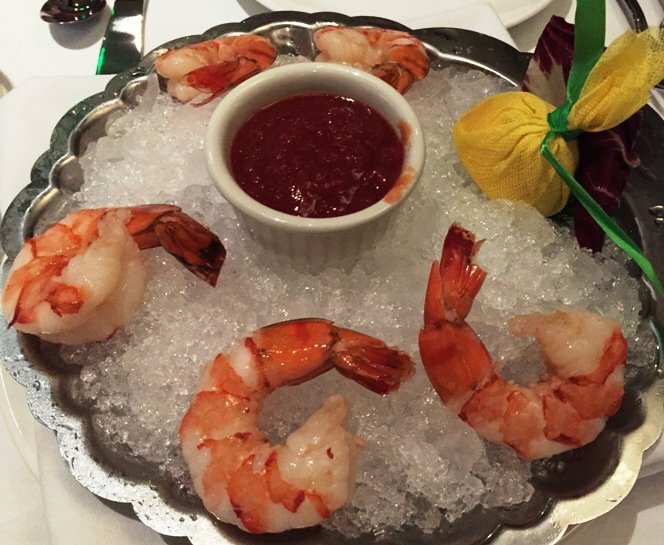 The shrimp cocktail is nicely presented on a bed of crushed ice for the table. As the meal continues we’re greeted by Joseph (Capital Grille’s managing partner) and Chris (manager) and so a quick thank you to both of them for the preview week invite! 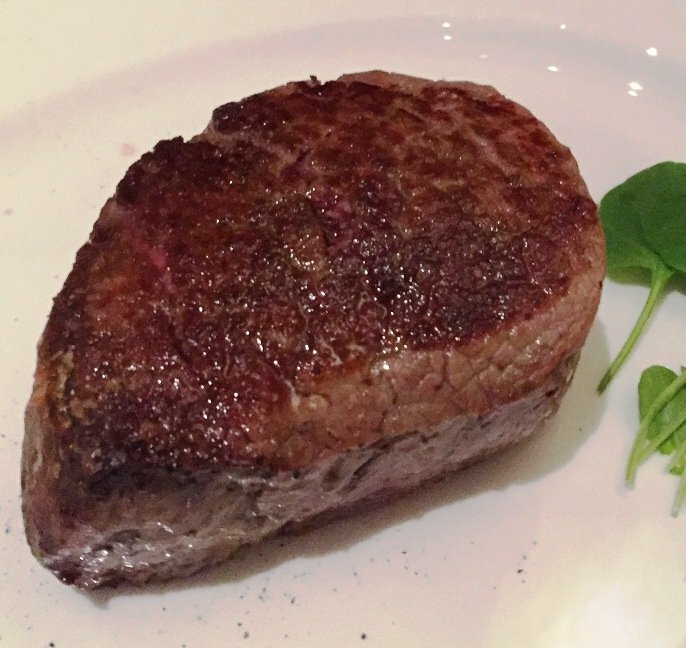 Next up is our entrees and as you can guess, Capital Grille specializes in dry-aged beef! While my dining partner goes with a fork-tender filet mignon, I’m doing my favorite cut: the rib-eye. And having just eaten at NanaSteak last month, I can definitely pick up the difference in quality of beef here. 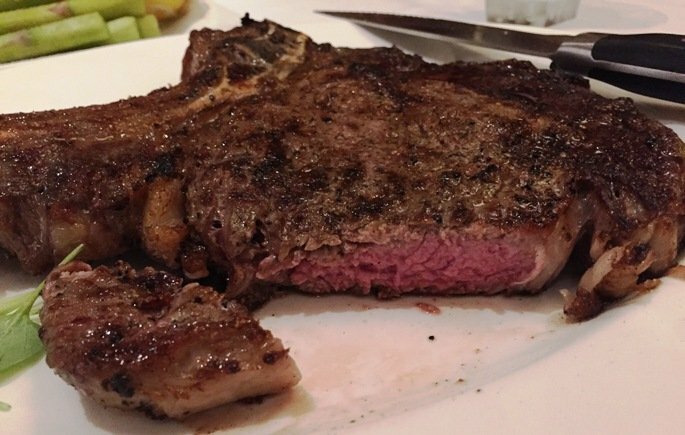 My rib-eye is perfectly cooked medium and served bone-in with no sauce. 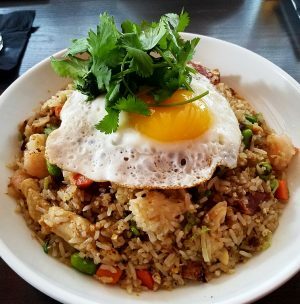 It has some fat for flavor but is lean and tender with great mouth-feel, yum! When you’re dealing with quality beef you can serve it naked and it stands out on its own, great job Capital Grille! We’ve got a side of asparagus chosen for the table but it looks a bit plain and sad. 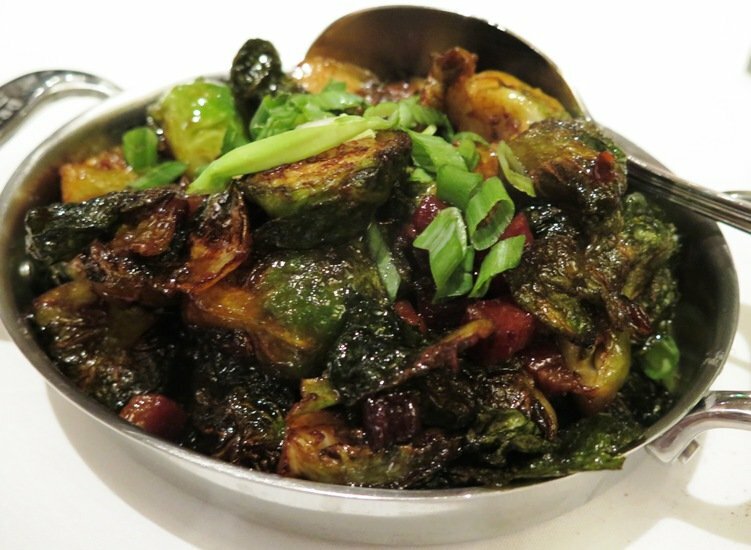 But our attentive server Derecka has heard me bemoaning the choice and brings over a platter of brussel sprouts spiked with thick-cut bacon! Now we’re cooking with gas… We finish off the meal with an excellent cheese-cake (with sugar crusted topping) and chocolate mousse. A perfect and lighter way to end dinner on a sweet note. Suffice it to say that we had a great time and great dinner at the new Capital Grille opening Monday, July 11. You’ll get the classic steakhouse feel but in a much more modern setting, similar to what you might have at Sullivan’s Steakhouse. 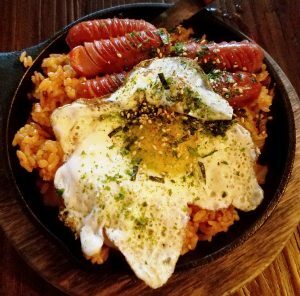 And its location in the booming North Hills area means you’ll have plenty to do before or after the meal. 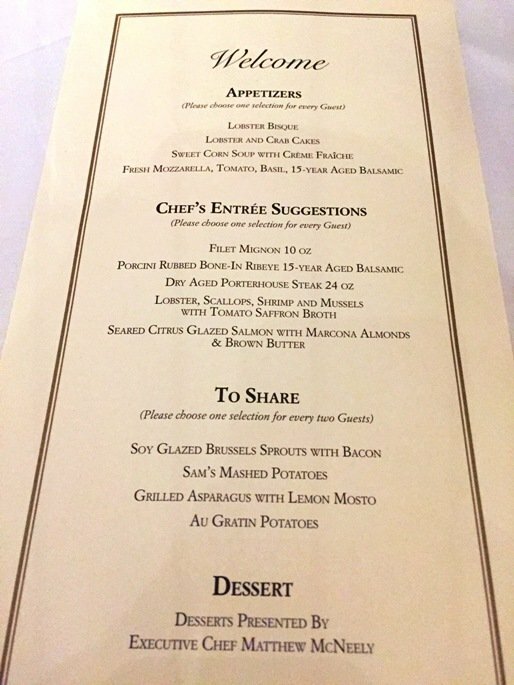 Given price points at the Capital Grille I suspect it will be more of a special events and business dinner type of destination which is perfectly fine given the menu, ambiance and service levels here. So welcome to the neighborhood, Capital Grille and best of luck on your opening week. 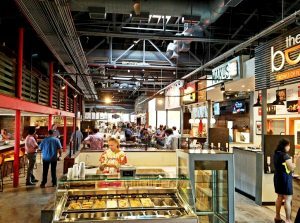 Raleighites now have another great dining option at North Hills!